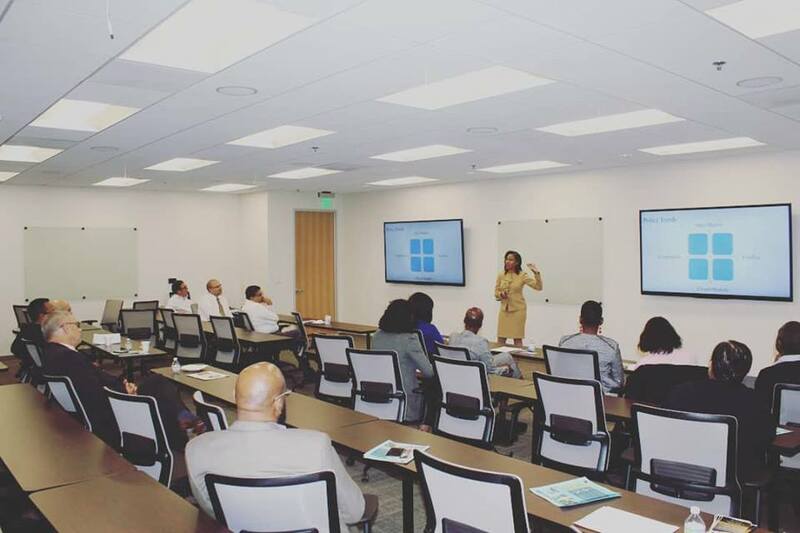 Dr. Sarita D. Jackson is an energetic, dynamic speaker who has been invited by universities, business groups, and government organizations nationally and internationally to share her expertise about the opportunities and challenges of the international market in English and Spanish. Her experience as a trade policy consultant, university professor, scholar and president/CEO of an international trade institute adds value to her talks encouraging small business owners to take advantage of free trade agreements to grow their profits. Audiences have enjoyed her style in which they become a part of her presentations and her ability to communicate complex, technical trade issues in simple terms. (To see what people are saying, click here) Your group will have fun while also learning the ins and outs of international trade. Dr. Jackson shares her expertise through keynote speeches, seminars and workshops. All of Dr. Jackson's talks and presentations can be tailored to meet an audience's specific needs. To book Dr. Jackson for your next event, call (310) 912-7950 or fill out the contact form. For more information, e-mail sarita@saritajackson.com.